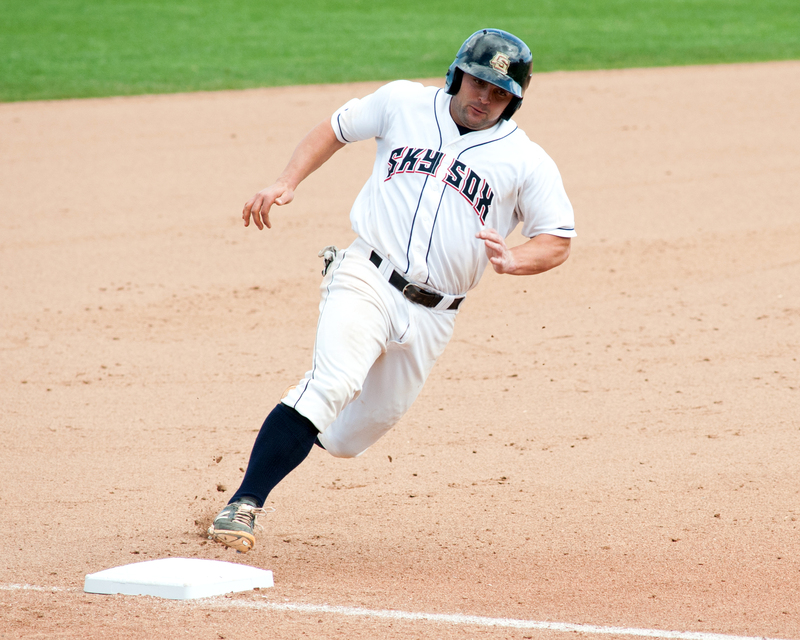 SOX TRANSACTIONS: Since the Sky Sox’ last game, there have been several transactions. C Michael McKenry, 3B Ryan Wheeler and P Chris Martin all have been recalled by Colorado. OF Evan Frey (from Tri-City) and C Michael Ramirez (from Tulsa) have been activated to the Sky Sox. HOME COOKIN’: While at Security Service Field, RHP Christian Bergman (left) (4-4) has been dominant and had another good outing at home on Tuesday extending his home scoreless inning streak to 26.2 innings before giving up a solo-homer to Mark Canha in the third. 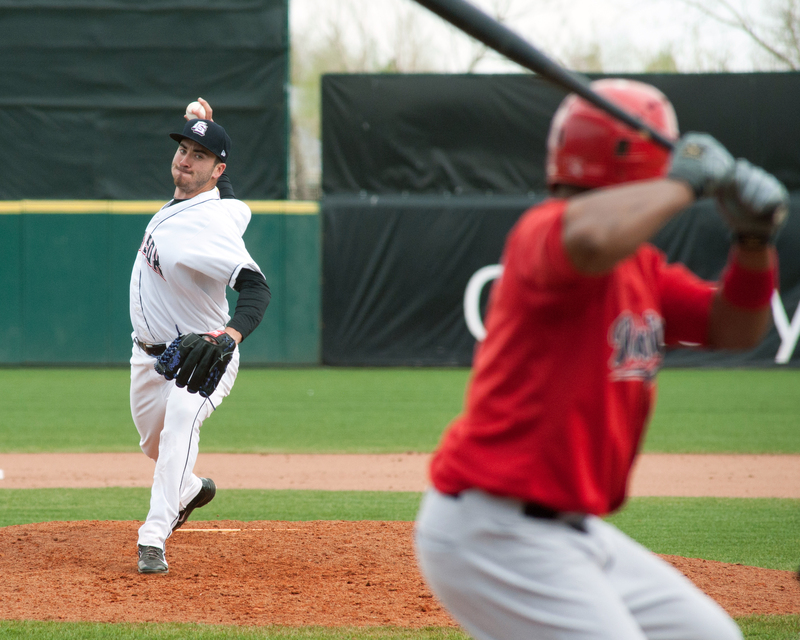 His streak of 26.2 innings over his past four home starts broke former Sky Sox Colby Ward’s 21.1 innings at home without allowing a run, which occured during th 1990-91 seasons. Bergman also has the fourth-longest overall scoreless streak in Sky Sox history by a start with 21.2 scoreless frames from 4/28-5/13. Bergman finished Tuesday by tossing six innings, allowing two runs on 10 hits, while punching out five and walking none. Both of his runs were off solo-shots. 3B Zack Cox smacked his second homer of the season off Bergman in the fifth. SUPPORTING BERGMAN: The Sky Sox’ five runs in the game while Christian Bergman was on the mound, marked the first time in 43.0 innings that a run was scored by Colorado Springs while the righty was on the mound, dating back to April 28th. BELTIN’ BEN: From his final two at-bats in Saturday’s game to his first at-bat in Sunday’s game, Ben Paulsen smacked three straight homers, all against left-handed pitchers. Prior to Saturday’s game, Paulsen was hitting .214 with zero home runs and one RBI. Now, he is hitting .242 (15-for-62) with three homers and five RBI against southpaws. Paulsen is now hitting .417 (5-for-12) in the current series against New Orleans with four runs, a double, three homers, seven RBI, one walk and just one strikeout. THEFT ALERT: With his stolen base in the first inning, Jason Pridie now has 17 thefts this season, which is second in the PCL. He also now has 192 in his minor league career. He needs three more for his fifth season of 20 steals or more. He also has reached base safely in 48 of 53 games he has appeared in this season. Pridie is currently hitting .291 with eight homers and 30 RBI. IN RELIEF: Over the last seven games, the bullpen has a 2.33ERA (27.0 ip, 7 er) in those seven games while allowing 5-of-11 inherited runners and striking out 29 batters against only five walks. In the 10 games previous, the bullpen had a 4.62 ERA (35.1 ip, 18 er) while allowing 4-of-13 inherited runners to score, with 36 strikeouts and 18 walks. STOPPING THE SKID: With their win on Tuesday, the Sky Sox snapped their season-high losing streak at six games. The longest losing skid in Sky Sox history is 11 games, which occured in 1997. The Sky Sox have lost nine of their last 12 games, which includes three losses against Iowa in late May. YOU CAN BET ON HIM: After his two shutout innings on Sunday, RHP Chad Bettis hasn’t allowed a run in his last eight innings to help lower his ERA to 1.86. In his 10 games this season, he has retired all 10 of first batters faced. SOX STRIKE FIRST: On Tuesday, the Sky Sox scored first for the 25th time this season, and are 19-6 when doing so. When opponents score first, the Sky Sox are 6-27. SOX VS. I-CUBS: Through seven games already this season, the Sky Sox are 1-6 against the I-Cubs, with their only win coming on May 23rd on the back of a strong start from LHP Yohan Flande and seven extra-base hits as a team.